Looks awesome man, nice job! I'm going to test it out when it gets approved. Awesome! Let me know if you find any bugs or have any suggestions for improvements! 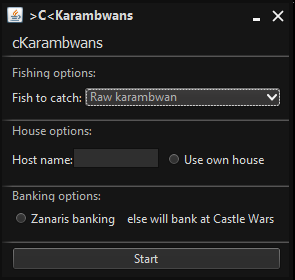 Hey Cas, I'm ironman and don't have access to PoH fairy rings, anyway to add zanaris banking support? Or even castle wars bank to Ardy Cape fairy ring? You know a really quick way of banking with this method is to use your butler, might want to make that a feature! Working flawlessly with Zanaris banking. Thank you very much. Thank you so much for the update dude. Keep up the awesome work! EDIT: Getting a NullPointerException error when the script finishes a fishing full inventory of Raw karambwans. Might look into adding it at some point! This might be a lot to ask, but a method that I use on my ironman is having Ardy Cloak equipped + Drakan's medallion + Dramen staff. 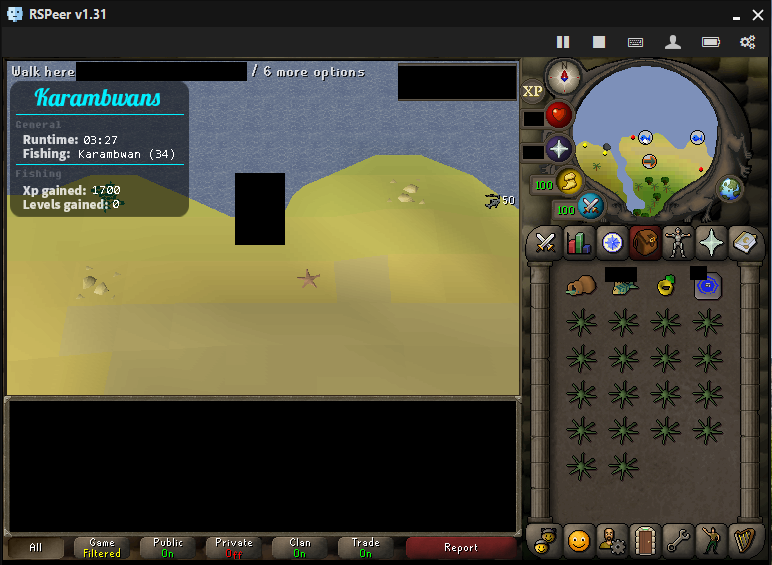 I use the Ardy Cloak tele to get me close to a fairy ring, and I use the medallion teleport to get to a bank. The Ardy cloak tele probably doesn't appeal to many people but I can see the medallion teleport being useful for many (infinite teleports close to bank), I wonder what your thoughts are on this.